One Dalton is a high-rise in Boston, Massachusetts with some floors dedicated to condominiums and the lower half dedicated to the Four Seasons hotel. In 2017 Red Sequoia took over management, hosting, all day-to-day updates, and new feature requests of the One Dalton website. 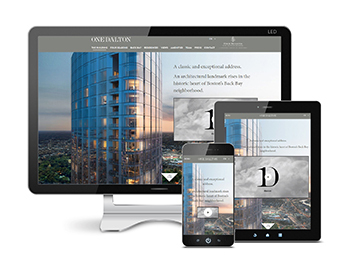 Initially One Dalton requested that we make a number of improvements and other changes to their existing website. Native Chinese and Arabic speakers are able to now browse the site and stay abreast of the building progress, with more language support forthcoming.